Antamedia Bandwidth Manager software controls download and upload rates for every computer in your network, using a shared Internet connection (NAT), meaning it acts as a gateway to the Internet. You no longer need to install software on each computer to control bandwidth quotas, set time limits and priorities for different users, configure firewalls and other advanced features, such as blocking unauthorized websites. Bandwidth Manager also gives you real control over what can be accessed, making it ideal for schools or preventing illegal or dangerous downloads. Antamedia bandwidth management software is perfect for Internet and game cafes as it tightly integrates with any available CyberCafe management software. If used with Antamedia’s specialist Internet Cafe, operation is fully automated and extra easy. 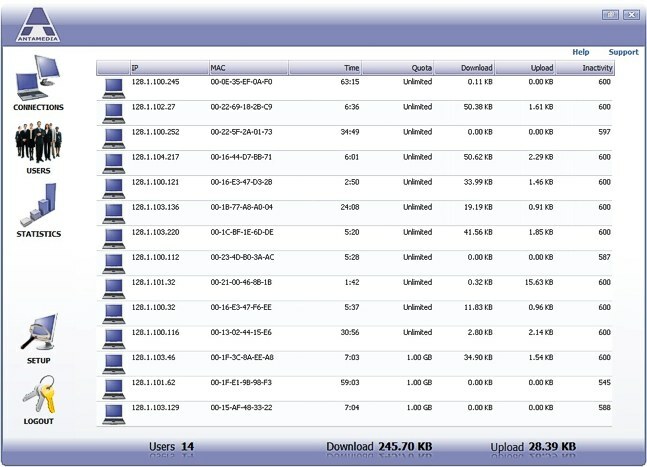 You can set maximum download and upload rates for your customers, with each computer connection auto-disabled at session end. Computers can be limited with specified time and quota per session, day time when access is allowed and set to logout after inactivity. Software enables control and billing using captive portal technology and it’s suitable for ISPs, Hotspots, Airports, Hotels, Internet and Cyber cafes. This fully functional and obligation-free trial period download means you can assess Antamedia Bandwidth Manager today, without any risks or major reconfiguring of your network. Try it right now and discover why Antamedia has become the world’s favorite for resource management software solutions. Accelerate the surfing and downloading speed of your Internet Explorer by up to 2 to 6 times. IE Accelerator is a download accelerator for Microsoft Internet Explorer(shortly IE). It is designed based on the undocumented documents of Microsoft Windows. Instead of optimizing serveral keys in the registry, IE Accelerator increases the simultaneous connections of each IE windows. So the surfing and downloading speed is boosted enormously, especially when opening a website with many pictures. IE Accelerator has been tested with Modem, LAN, ISDN, CATV, ADSL, Cable and other types of connection. Once accelerated, the download speeds are increased by up to 200 to 600 percent. However, this may vary on different computers. Users should launch IE Accelerator before IE starts or make it automatically loaded in the start-up group. Less than 1% CPU time utilization and less than 2 MB memory needed. 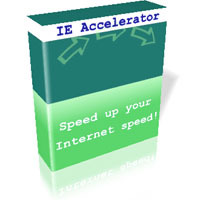 IE Accelerator supports Internet Explorer 3.x, 4.x, 5.x and 6.x, and works pretty fine with Windows 95, Windows 98, Windows Me, Windows NT4, Windows 2000, Windows XP, Windows 2003, Windows 2008 and Windows Vista. 15-day free trial, with no advertising or spy-ware module. Router Port Forwarding is a very powerful port forwarding and port triggering software for router. You can easily add, delete, view port forwarding entry of router. 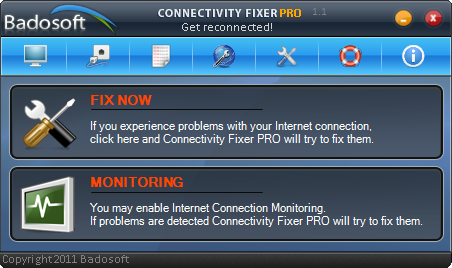 At the same time, you even can monitor the change of your router’s port forwarding. Port triggering function is supported too. The router port forwarding software can let you easily access your computer that behind router from outside and let you play online game. What is Port Forwarding & Port Triggering? Port forwarding, can be called port mapping. A word of definition of port forwarding is a way that bridge the communication between one side and another side. Normally, we surfy internet by using a router. That means our computer behind the router. Our compuer has a private ip address and the router has a public ip address. The requests of our computer will send to the router and the router will rely the requests to internet. This is how we surfy internet. Router is like a front door before your computer. But if internet users or applications want to access your computer, it will reach the router(front door) firstly. If there is no port opened for this request in your router. Your router don’t know how to deal with this, So your router will refuse the request directly. This will result internet users or applications can not access your computer. Port forwarding is the right way to resolve this. What you need to do is just add a port forwarding entry into your router, then your router will know how to forward the request from internet users or applications to your computer that behind the router. Port Triggering is an option of router. Basically, port triggering and port forwarding are the same. They all open a port on your router and when there is connection or data from internet, your router will forward the connection or data to your local computer that behind router. The difference between port triggering and port forwarding is, when you use port forwarding function of your router, your router will always open the port no matter you are using it or not and the internal address be forwarded is static, if you want to change the address that you want to forward, you must edit the port forwarding entry in your router. Comparing with port forwading, port triggering is a little more secure and it is dynamic. When your application need to open a port in your router, the port triggering function integrated with our Router Port Forwarding software will do this for you. When you don’t need it, what you need to do is just close the software, this will automatically close the port in your router, this will increase your computer security. At the same time, port triggering is dynamic, What you need to do is just run our Router Port Forwarding Software with your application on any computer together, this will let your router dynamically forward connection or data to your computer that running your application, you don’t need to edit the port triggering entry in your router any more. But the disadvantage of port triggering is unstable, it really depends on your rouer. Your rouer will close the port after some period of time if there is no data pass through. This will break your application down. At the same time, a lots of applications don’t support port triggering. So this is the value of port triggering function integrated with our Router Port Forwarding software. It will generate a constant data stream to keep your router open the port for your application. It doesn’t matter if that software supports port triggering or not. It doesn’t matter how long your router waits before close the forwarded ports, because the data generated by our software is constant. What is reverse port forwarding? For example,there are computer A and B,computer B is a computer that behind a firewall or a router.Computer A is your local computer.If you want to access a service of computer B,say port number is 80.The first things you must do is that you must configure firewall or router of computer B to open the privilege for your local computer A.Then you can access the service of computer B after all those configurations. But if computer B behind a firewall or inconfigurable router,you don’t have the right to configure the firewall or router and you can not persuade the network manager to configure for you,because of security issue. Now,you can use reverse port forwarding technology,you can deploy a software on computer B or some computer that can directly access computer B.Then the reverse port forwarding software will connect computer A.Because of the connection is from computer B to computer A,so the firewall or router of computer B can not block the connection.After the reverse port forwarding software successfully connect to computer A,then the software will bridge the communication between computer A and B.By this way,you don’t need to configure the firewall or router that you don’t have the right to configure and you can access the service of computer B,because of the access bypass the firewall of computer B. Using our software – Reverse Port Forwarding Wizard.You can deploy the software on computer A and B.Starting a service of reverse port forwarding client on computer B and s tarting a service of reverse port forwarding server on computer A,the services of server and client will work together to bridge the communication between computer A and B,let you easily access the service of computer B. At the same time, you can automatically manage port mappings of your router and a lots of features integrated with reverse port forwarding wizard. Using Port Forwarding Wizard,it will let you Infinitely port forwarding until the destination ip address is achieved.At the same time,it can turn non-SSL aware softwares into safely softwares by ssl tunnel technology.You can completely use this tool wihout learning. When you try to access some remote computer,maybe this computer located in a LAN that you can’t directly access or this computer are configed to deny your computer’s ip address.Under this situation,maybe you need to go through a lots of computer to finally access the destination and the computers you must go through maybe run Windows,Solaris or Linux system.It will bother you so much.Now,you can deploy Port Forwarding Wizard tool on those computers,no matter those computers’ system.After this,you can directly access your destination easily and enjoy your coffee:) Sometime you want to access ports on computers behind firewalls, gateways, and inconfigurable routers.Under this situation,you can not directly access a local computer located in a LAN.But if you deploy Port Forwarding Wizard on Gateway and set port mapping,then now you can directly access a local computer from internet.Sometime your firewall forbid service on a LAN computer,cause this service listen on a very low port number.Using Port Forwarding Wizard,you can mapping this low port number to a high port number,then your firwall will not forbid your connecting from outside your LAN. 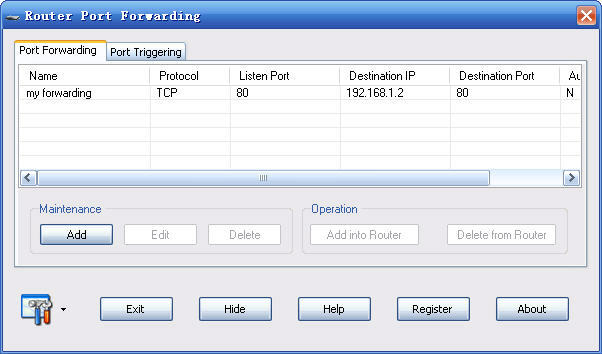 Using Port Forwarding Wizard, you can automatically manage port mappings of your router. Port Forwarding Wizard use UPnP technology communicating with your router to view,add or delete port mapping.Now using Port Forwarding Wizard,you can easily to do this! Port Forwarding Wizard integrated http proxy function can let all your computers can surfe internet with same internet connection. December 14, 2014 Dial-up & Connectivity, Internet, SoftwareMING Software Inc.
CCProxy is a small and easy to use proxy server. It features bandwidth control, web cache, web filter, remote dial-up, dial on demand and time schedule etc. It fully supports HTTP/FTP/SOCKS/TELNET/HTTPS/RTSP/MMS. As a great Internet connection sharing solution, it is great for small to medium sized businesses.